A team of Police Community Support Officers (PCSOs) from Merseyside Police has moved in to a new base at Magdalen House as part of Sefton Council’s move to locality-based working. PCSOs Emma Cooke, Anthony Holden and Helen Holt will work from the ground floor of Magdalen House alongside a range of council services focusing on early intervention and prevention. This way of working will allow the council and its partners to share information, resources and data more collaboratively. The PCSO team will also be able to work from agile suites at Netherton Activity Centre and Southport Town Hall. Formerly based at Marsh Lane Police Station in Bootle, the PCSO’s relocation to Magdalen will see them collaborate with colleagues across the council to help children, families and vulnerable adults in Sefton tackle problems at an early stage. Their immediate focus will be to identify people who regularly contact Sefton Council and Merseyside Police for help. Emma Cooke, who has served as a PCSO for 10 years, says the team are already seeing the benefits of working at Magdalen House after moving in eight weeks’ ago. PCSO Cooke said: “It’s great to be part of a big team and be able to share information immediately with partners. The aim of the Early Help plan is to work together to help our communities become more resilient, and having a base at Sefton Council means we take a more joined-up approach. PCSO Helen Holt said the move will help all partners focus on the needs of local partners and communities more cohesively. She said: “Working together will help us identify areas of demand and allow us to share that information quickly with teams at Sefton Council. Anthony Holden, who has served as a PCSO for three years, says he is enjoying being in the new environment and is looking forward to closer partnership working. He said: “We already feel at home in Magdalen and it’s great to working with colleagues at Sefton as part of a ‘one-team’ approach. 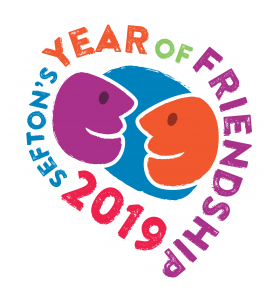 Cllr Trish Hardy, Sefton Council’s Cabinet Member for Communities and Housing, said:” This move will really help us work as one team with partner agencies, to share resources and information to make us more resilient and effective. Sefton Councillor Carla Thomas (St. Oswald Ward) is hoping to reach a fundraising milestone of £10,000 for the We Love Manchester Emergency Fund to commemorate the one-year anniversary of the Manchester Arena terror attack where her sister sustained life-changing injuries. Councillor Thomas’s sister, Julie, was present at Manchester Arena when the terror attack took place on May 22, 2017. Julie was seriously injured in the blast and underwent three serious operations to remove shrapnel and bolts from her body. She is now adjusting to life in a wheelchair. 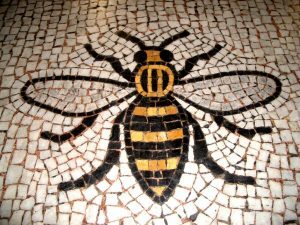 In response to the atrocity, Councillor Thomas organised a ‘Hope Over Fear Fundraising Event’ on behalf of the victims and families of those hurt in the attack. The event, which was held at the Shankly Hotel in Liverpool and attended by Liverpool City Region Metro Mayor, Steve Rotheram, and Mayor of Greater Manchester, Andy Burnham, raised £9,200 for the Fund. She is now hoping to reach a fundraising milestone of £10,000 by the end of May in order to present a cheque to the two Metro Mayors next month for the We Love Manchester Fund. Councillor Thomas said: “I can’t thank everyone who has donated enough for their support. I can’t believe that it’s almost a year since the awful incident occurred but I’m very lucky to have my sister who is adjusting to life in a wheelchair. We still hope she may walk again. If you would like to donate please contact Councillor Thomas directly on 07815 507 965.